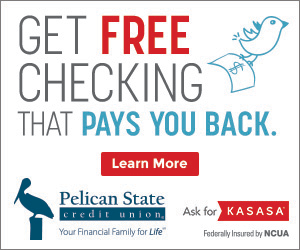 If you’re unfamiliar, the Beak Squad is Pelican State Credit Union’s team member-run committee responsible for fundraising initiatives and volunteer opportunities. This year, all of our fundraising efforts benefit our charity of the year, Dreams Come True of Louisiana. 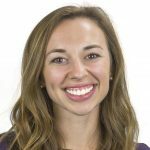 You might be wondering, “How is this a squeakquel?” Check out this blog post to see some of the fundraising and volunteer work we did in 2017. 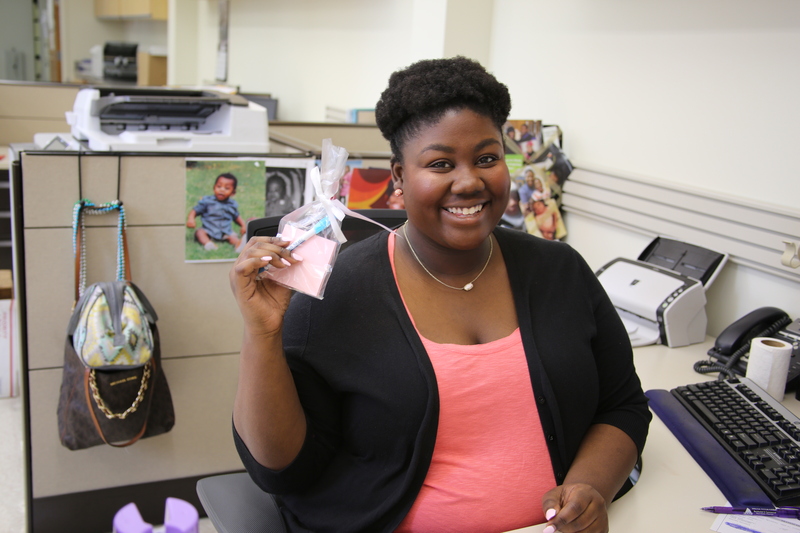 For Valentine’s Day, Pelican team members paid $2 per Love Note to send as many as they wanted to anyone they chose. Each Love Note came in a bag with a notepad, Pelican pen and a personalized message from the team member who sent it. We raised $285 selling these Love Notes! 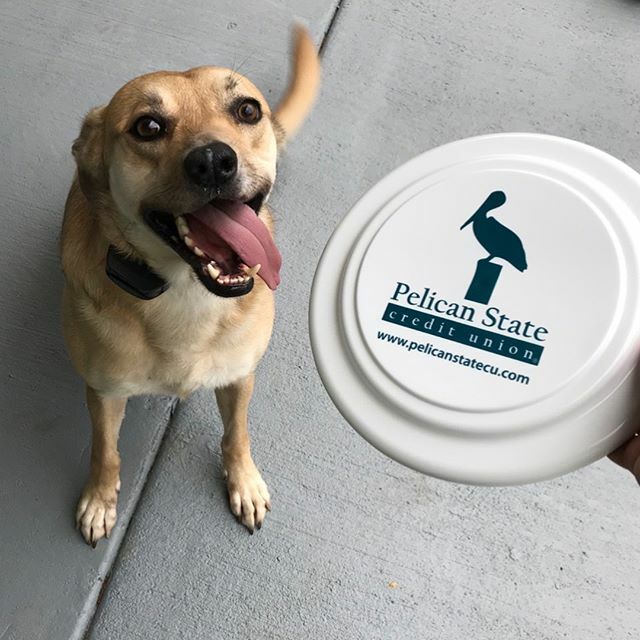 We love our furbabies at Pelican! Many of us are convinced that our pet is the best, so back by popular demand (the FOURTH time to be exact) is Pelican Pet Idol! 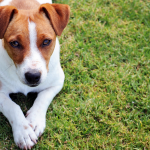 Team members could nominate their pet and let their co-workers vote on the all-time cutest. We had 25 pet photo submissions and over 100 votes to decide the favorite. In the end, Koko was voted this year’s Pelican Pet Idol, and we raised $569! We celebrated the first of two Friday the 13ths in 2018 with a spectacular, spooky trivia night. 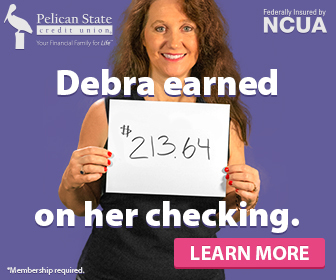 For just $10, Pelican team members could join the fun! Co-workers chose team names and coordinated costumes. There were trivia questions in categories like pop culture and sports as well as some special categories related to Friday the 13th and Pelican history. This one event raised $500! Our first mobile bake sale, Sweets on Wheels, was a huge success. Beak Squad members decorated rolling carts and toted the baked goods around the entire building. These desserts were donated by team members in an effort to raise more money. 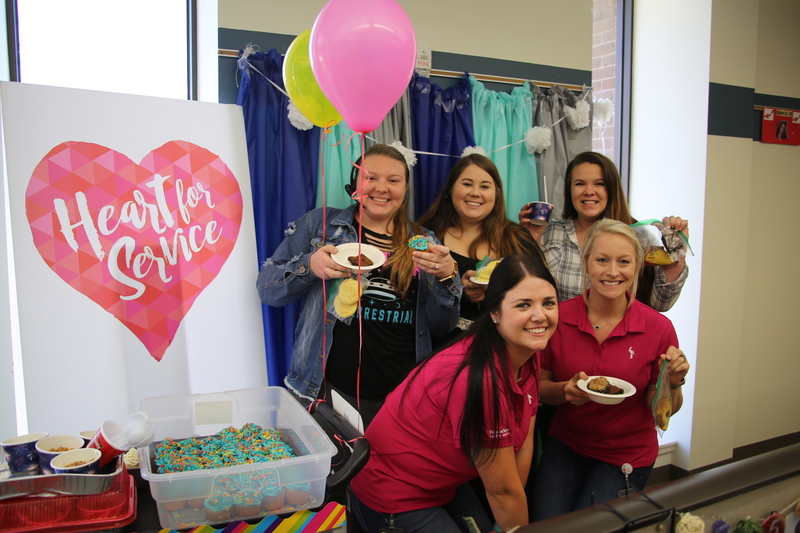 As an incentive to bring sweet treats, every team member who brought a dessert was entered to win one of three gift baskets. 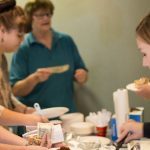 Desserts were sold for $1 each, and we raised $297! We closed out crawfish season with a crawfish boil raffle. Pelican team members could buy $5 tickets online for the chance to win a sack of live crawfish and boil accessories! 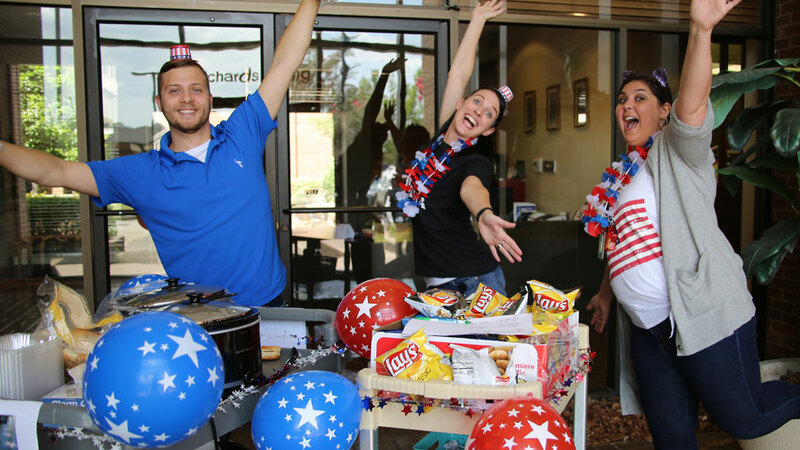 The prize included 40 pounds of live crawfish, boil seasoning, custom Pelican crawfish trays and other fun promotional items! 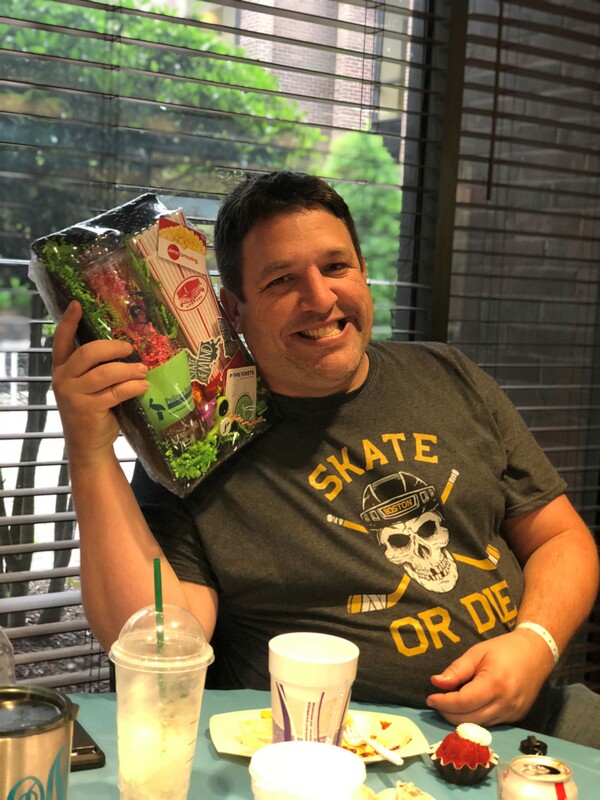 Over 50 team members entered the raffle, and we raised $520 for our charity of the year. 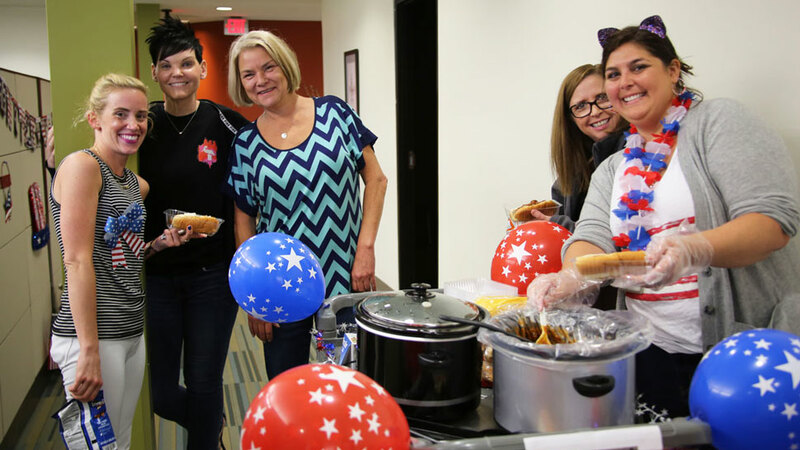 We held a Red, White and Dreams Come True “FUNdraiser,” selling hot dogs and chips to our team members. 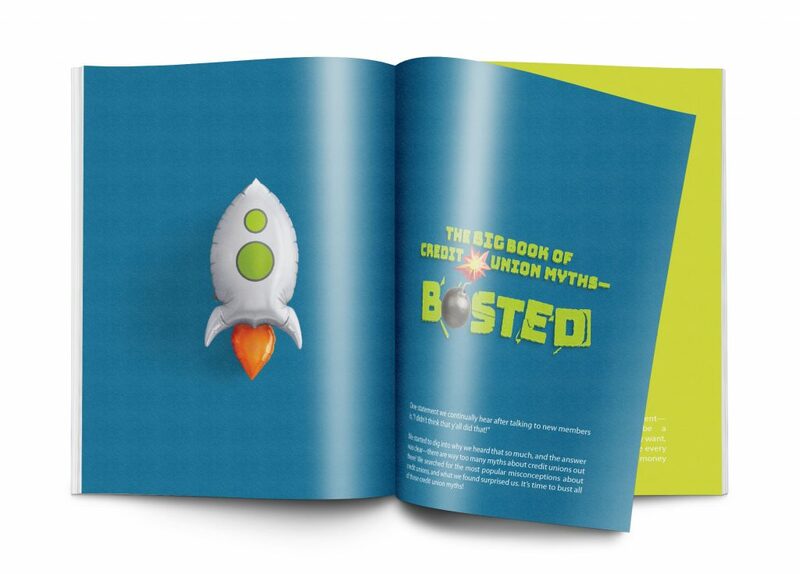 This ended up being really popular since Beak Squad members “took the dogs on a walk” at our Corporate HQ, moving through the halls like a mobile hot dog cart for everyone! Another part of Red, White and Dreams Come True was a dessert raffle! Team members brought cakes, cupcakes, brownies, pies and more to be raffled off. We raised a combined $552 from these tasty fundraisers! 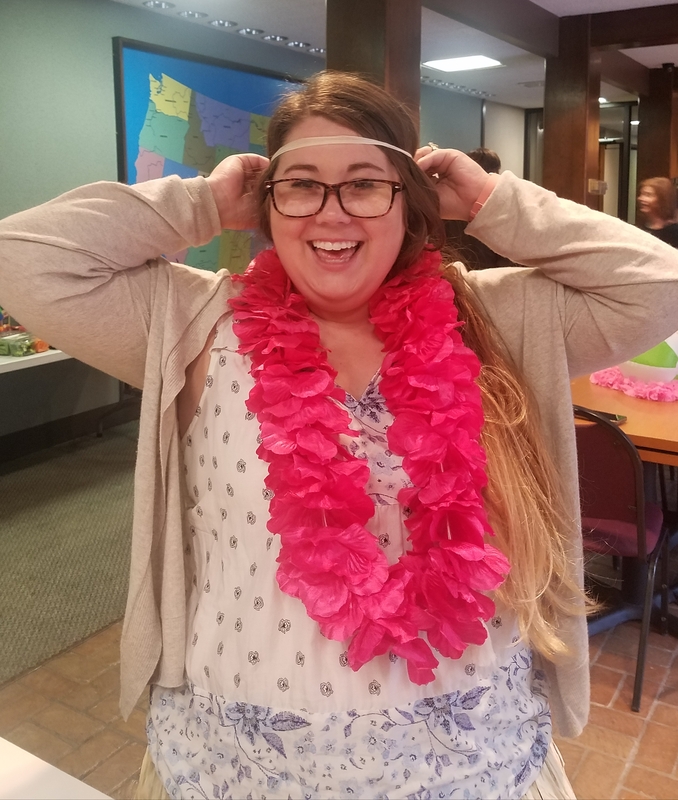 Another one of our new fundraisers was a luau-themed bingo night at the office. We charged $15 per person to play; $14 went to charity and $1 went into a winner’s money pot that was saved for a “coverall,” or blackout, board. In addition to the winner’s money pot, volunteers put together a few other prize packs for the best-dressed and winners of various rounds throughout the evening. There was also a raffle prize that players could enter to win, and the money from those tickets went to charity. We raised $454 at bingo night! Do you ever think about how fun or funny it would be to take certain people on vacation with you (like the CEO of your company)? 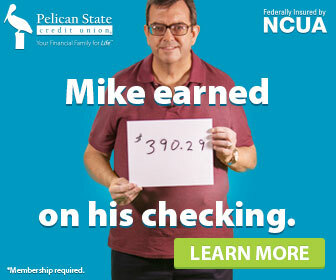 Pelican team members can currently take a picture of our CEO Jeffrey K. Conrad on their summertime adventures. Our CEO went to a lot of fun places like a concert and on a beach trip. 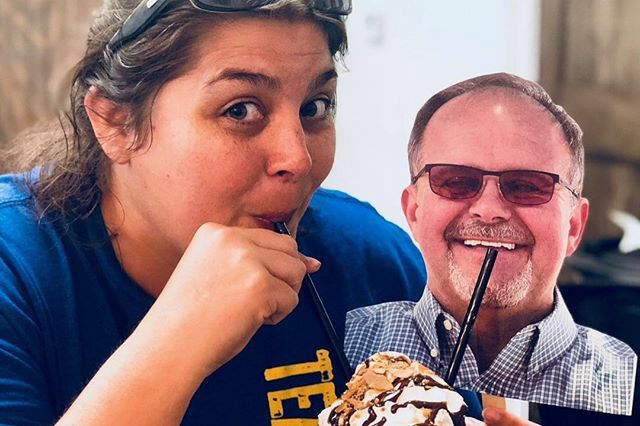 Team members just paid a small fee to submit their crazy cool photos, and at the end, team members paid one dollar to vote on their favorite photo! There were prizes for the first, second and third place winners—check out our Instagram to find out who won! 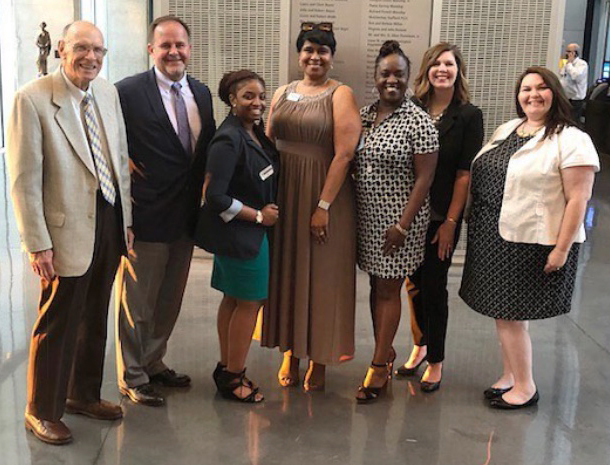 More than 300 guests along with Pelican volunteers attended our Select Employer Group Volunteers of America’s Celebration for Change event. This free, one-hour program enabled guests to learn more about their programs and the people they serve. Pelican volunteers helped collect the donation envelopes from patrons. 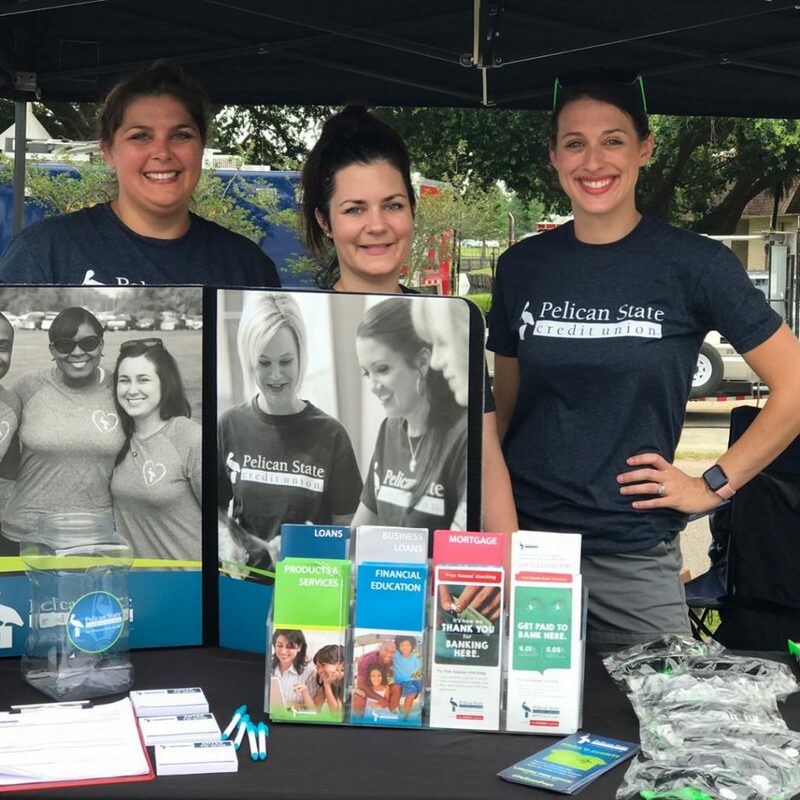 Pelican volunteers enjoyed the Jambalaya Festival in Gonzales, the Jambalaya Capital of the World. They helped sell tickets at the ticket booths and helped festivalgoers find what they were looking for. Pelican volunteers always wear our super soft shirts with the Pelican logo on the back and front so people in the community can recognize who we are. The shirts usually strike up some fun conversations with our members! 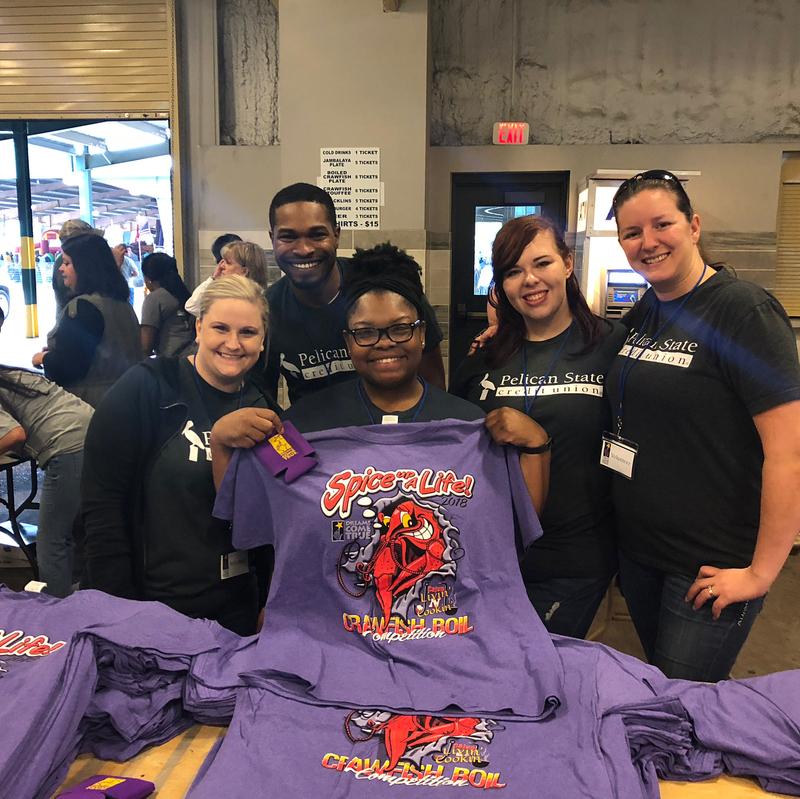 Beak Squad members sold shirts and tickets at the Cajun Livin N Cookin Festival. We loved helping out at this event benefiting our charity of the year! The weather was kind of crazy, but luckily there was still a good crowd, fun music and lots of food! 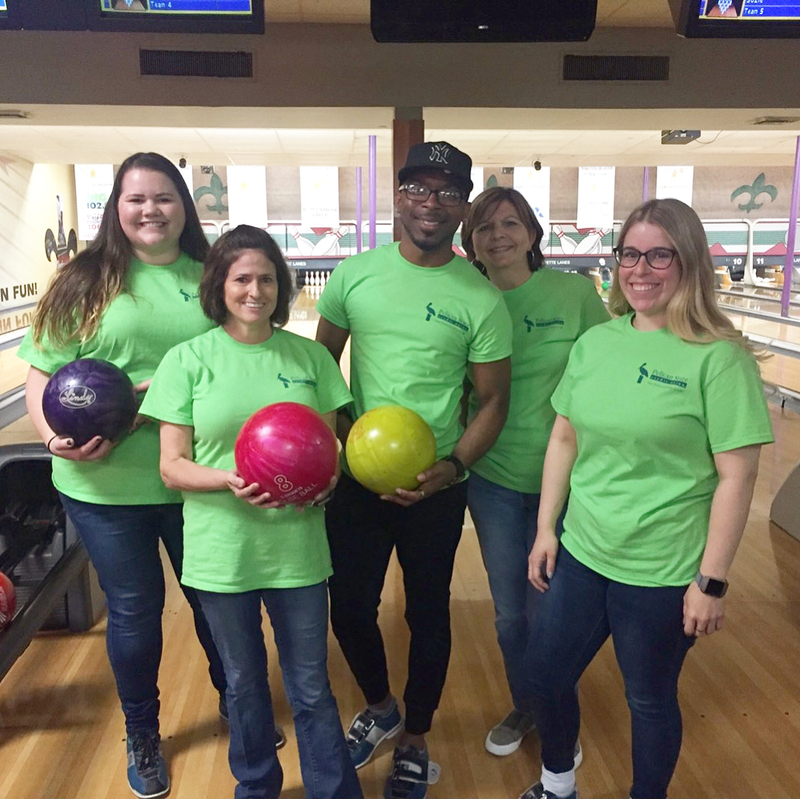 St. Jules team members participated in Bowl for Kids Sake which raised money for Big Brothers Big Sisters and was organized by a University of Louisiana at Lafayette fraternity. To fundraise, the St. Jules team held a bake sale with homemade rice crispy treats, brownies, cupcakes and cookies. Participants received shirts, two games of bowling, prizes and green beer! 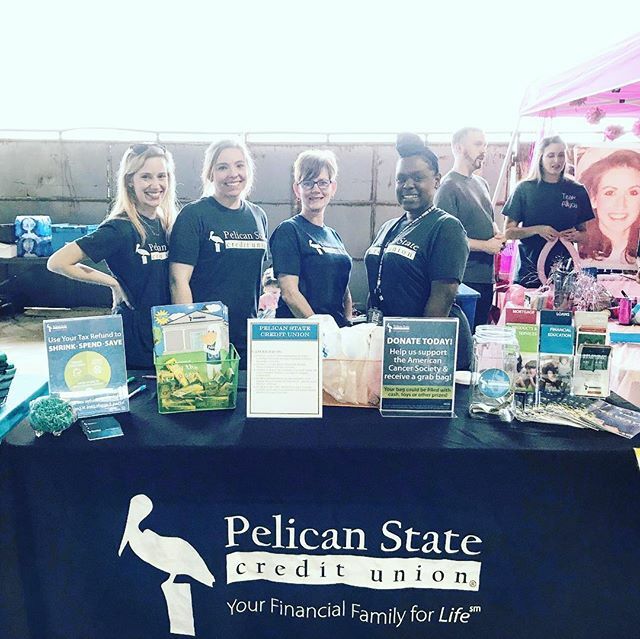 Beak Squad along with Prairieville team members joined the American Cancer Society’s fundraiser, the Ascension Parish Relay for Life. The event was themed after the board game Monopoly with each booth being a square on a game card. Each booth displayed cancer facts and statistics and had items you could get for a suggested donation price. 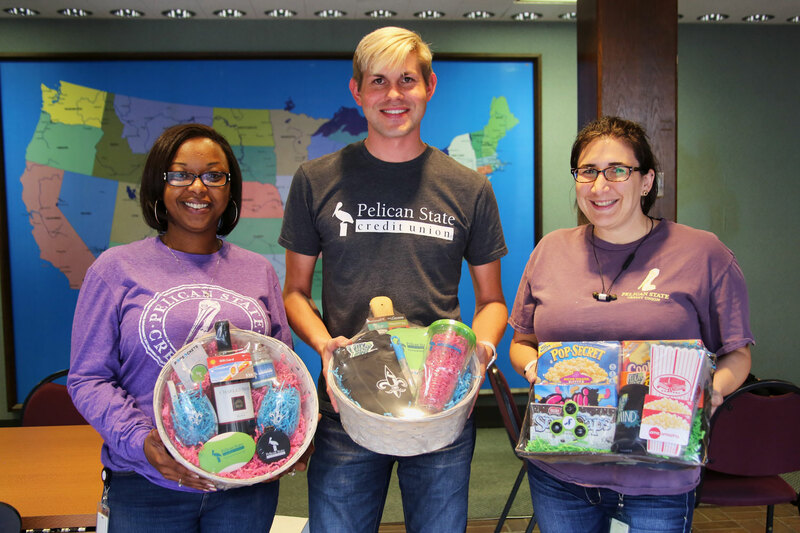 Pelican had surprise grab bags with different promotional items, including Pelican piggy banks filled with money! There was a lot of creativity in each booth, and it was a great family event to attend. 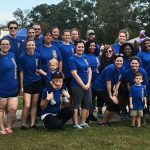 Want to keep up with everything Pelican does in the community? Like us on Facebook or follow us on Instagram!